Spruce trees (Picea sp.) grow well in the northern areas of the United States. 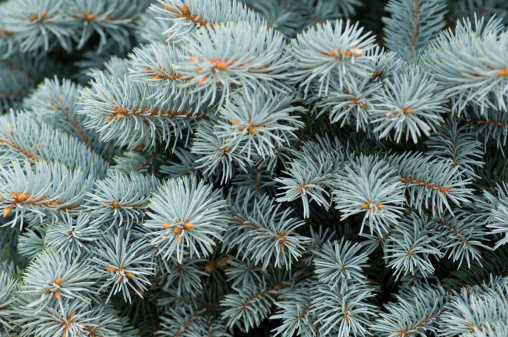 Evergreens, they can withstand cold and poor soil conditions when properly planted. About 35 spruce species exist, plus many cultivars. Some can attain can attain a height of 180 feet. 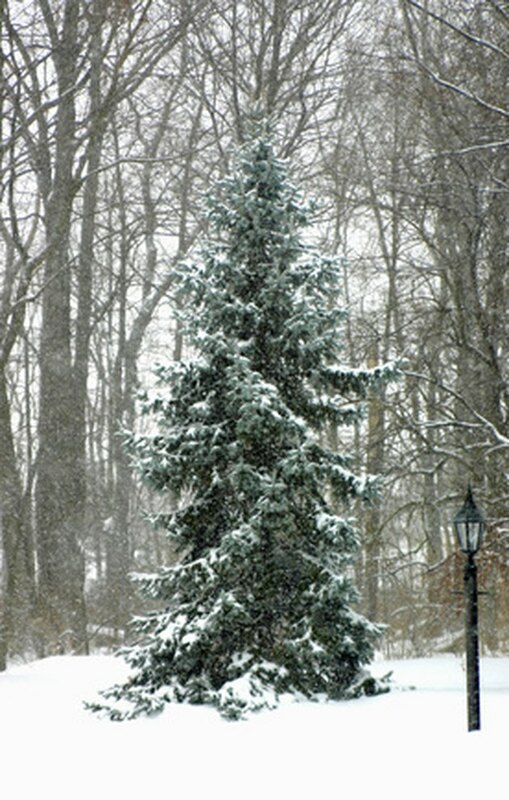 The spruce tree is a popular landscape tree. Plant older spruce trees when dormant in the early spring months before the tree begins to exhibit any new growth. For best results, plant the tree just before the last frost of the season and before the spring thaw or rains begin. If you cannot plant an older spruce in early spring consider planting it in the late summer or early fall. The soil temperature should hover at 60 to 70 degrees Fahrenheit when planting, according to the University of Nebraska's website. Older spruces can be planted after the first hard frost. Young spruce tree saplings can survive if they are planted in late August to mid fall before the first heavy frost of the autumn season occurs. Mulch heavily around the base of the sapling to help protect its delicate root system from heaving upward during the cold winter months and spring thaw. Avoid planting spruce trees during the hot summer months. The tree will often suffer drought stress and die, according to the University of Montana website.